My first card is for HYCCT1114: It Touches All of Us. We were challenged to make a pink collage card. Now I use lots of embellishments on many of my cards, so to make this a collage, I just tried to use a lot of different things: roses, a couple of different papers, a fan button, some bling, and a border punch. The layout comes from last week's Sketch Saturday challenge (rats missed their deadline to enter! 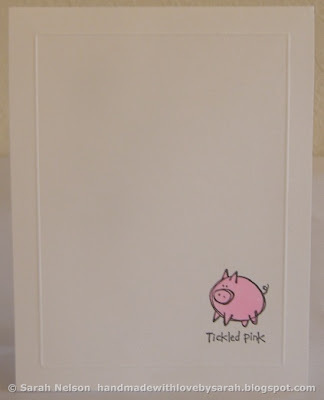 ), and I really loved this sketch and used it on two other cards I'll include next. Papers: white, dps from DCWV "The Fun in the Sun Summer Stack"
My second card is for HYCCT1129 Words of Encouragement. Card number two also uses the above layout from Sketch Saturday. 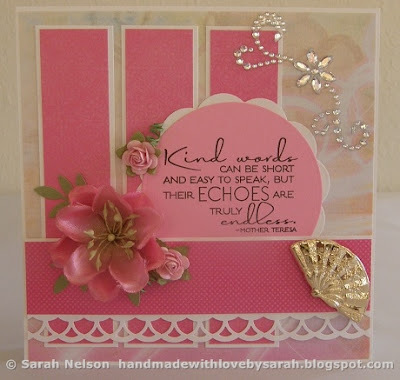 I thought this layout was great for making a card where the focal point was a quote or sentiment as the challenge directed. 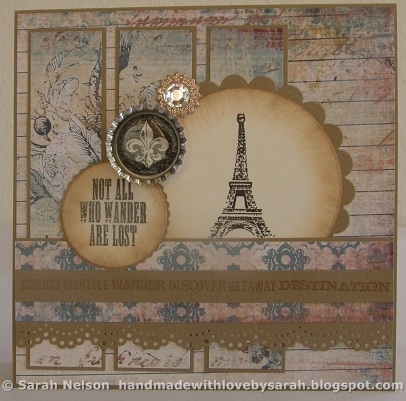 Papers: kraft, cream, My Mind's Eye "La Paperie"
The third card I made is for HYCCT1122 Find Your Happy Place. We were challenged to draw our inspiration from our happy place or an inspirational photo. I am hoping to someday do some traveling, so I picked this photo of the Eiffel Tower as my inspiration. 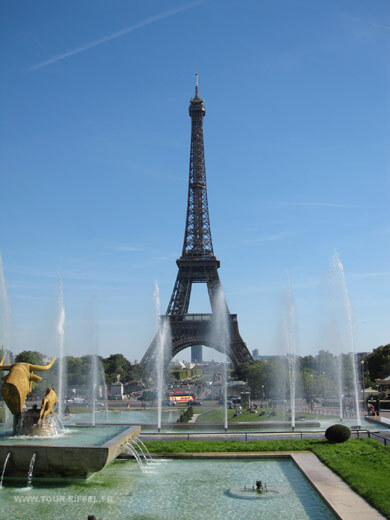 So beautiful with the fountains! Stamps: Teresa Collins "World Traveler"
Paper: kraft, ivory, My Mind's Eye "La Paperie"
Other: Epiphany Crafts Shape Studio 25 mm bubble caps, decorative bottle cap from Bottle Cap Inc. (Archiver's), "Flora and Fauna Medallion" (sparkly adhesive chipboard piece) from K & Co.
Card number four is for HYCTT1119 Give 'Em a Squeeze. 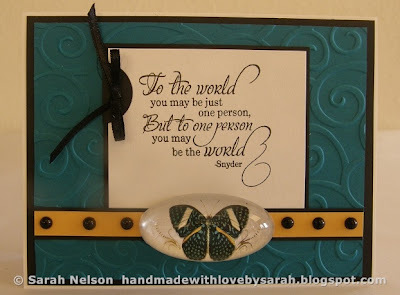 We were challenged to use dry embossing for this card. 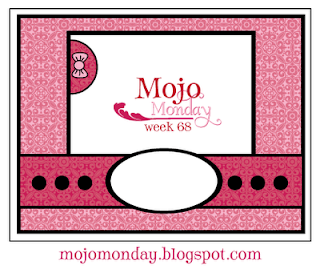 I used an old Mojo Monday sketch (Jan. 5th 2009 to be exact) for my layout. The last card for this batch is a really different style! For HYCCT1127, the challenge was Tickled Pink. We were supposed to make a CAS (clean and simple) card with a splash of pink. I remembered I had an old SU! set that I could use for both the image and the splash of pink. 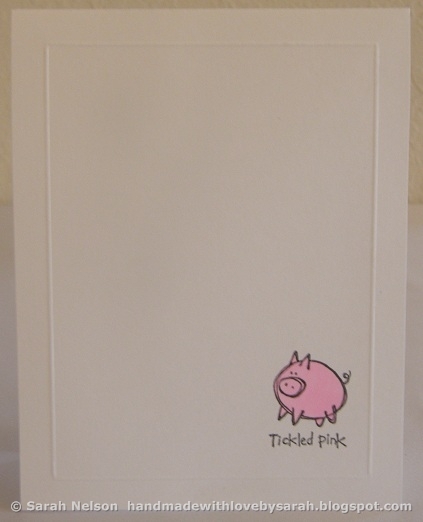 I scored at 3/8" to make a panel and then stamped the little piggy directly on the card. I hope that qualifies as CAS since it is just one layer and no embellishments! :) The sentiment is even the same as the challenge title! 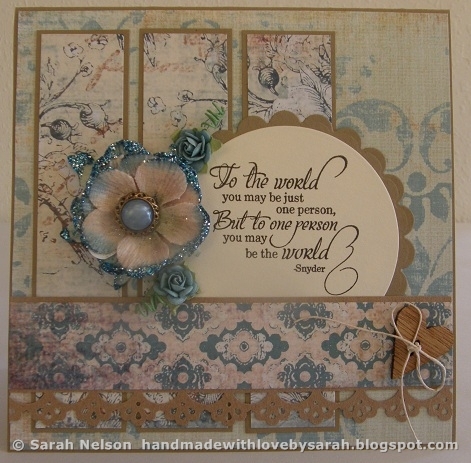 Oh Wow these are just Gorgeous, love the papers in the 2nd and 3rd cards, love what you did with these sketchs!